Kinderspel diaper pouches are a chic way to keep baby's supplies organized. 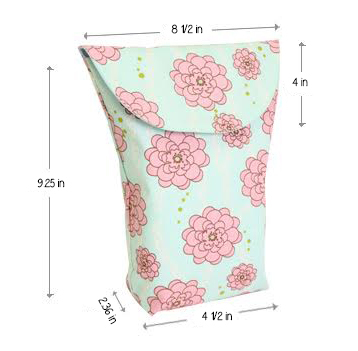 Perfect for keeping an extra supply of diapers or other necessities stashed away in your bag! Easy velcro closure and spacious design provide a convenient and must-have diaper bag solution! 100% cotton exterior and 100% nylon (water-resistant) interior for easy cleaning. Click the button below to add the DIAPER POUCH (Various Patterns) to your wish list.